Polycystic Ovarian Syndrome (PCOS) is a hormonal condition that, if not treated, can lead to further complications, including weight gain, acne, irregular periods, hirsutism, infertility, and increased risk of heart disease. Dr. Karie McMurray offers diagnosis and treatment to bring relief to those suffering from PCOS. 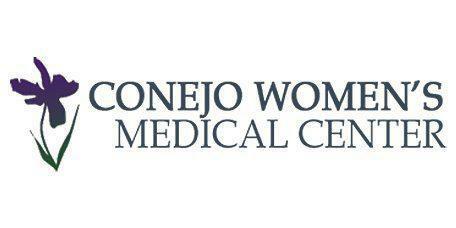 Patients in Westlake Village, Thousand Oaks, California, and the surrounding areas of Conejo Valley can visit her at Conejo Women's Medical Center. The ovarian cysts aren’t necessarily harmful, but they can lead to further hormonal imbalances. Nevertheless, PCOS is dangerous: over time, it could lead to diabetes and heart disease. Fortunately, if Dr. McMurray diagnoses and treats it early, she’ll be able to control the symptoms and prevent long-term problems. The cause of PCOS isn’t fully understood, but genetics may be a factor: PCOS seems to run in families, both from the mother’s side and the father’s side. Also, your chance of having it is higher if other women in your family have it, or if they have irregular periods or diabetes. Dr. McMurray goes through several steps to arrive at a PCOS diagnosis. She’ll ask questions about your past health, symptoms, and menstrual cycles. She’ll also do a physical exam to check for signs of PCOS, looking for signs like high blood pressure or thinning hair. Dr. McMurray will also check your height and weight to see if you have a healthy body mass index. She may also order a pelvic ultrasound to look for cysts on your ovaries. Lab tests might be run to check on your blood sugar, insulin, and other hormone levels. These hormone tests can help rule out thyroid or other gland problems that could cause similar symptoms.